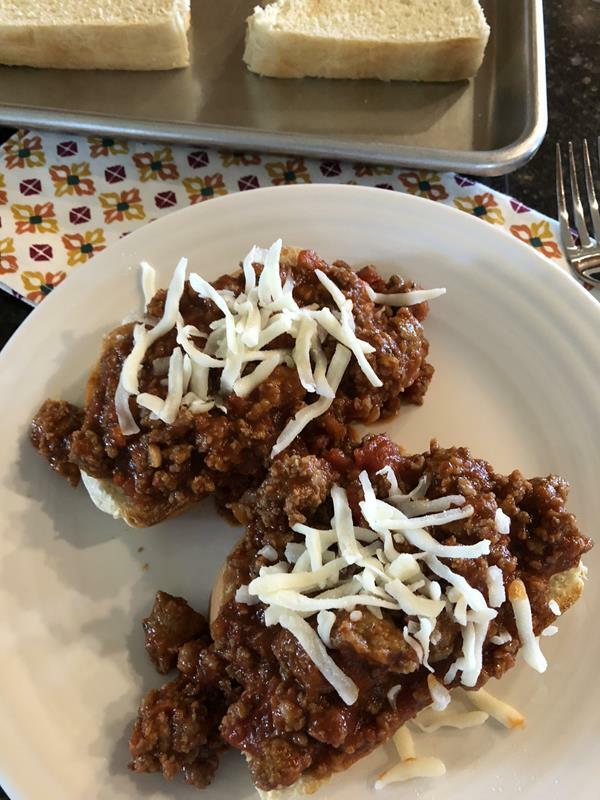 Italian Sloppy Joes is a quick and easy meal that kids will love! 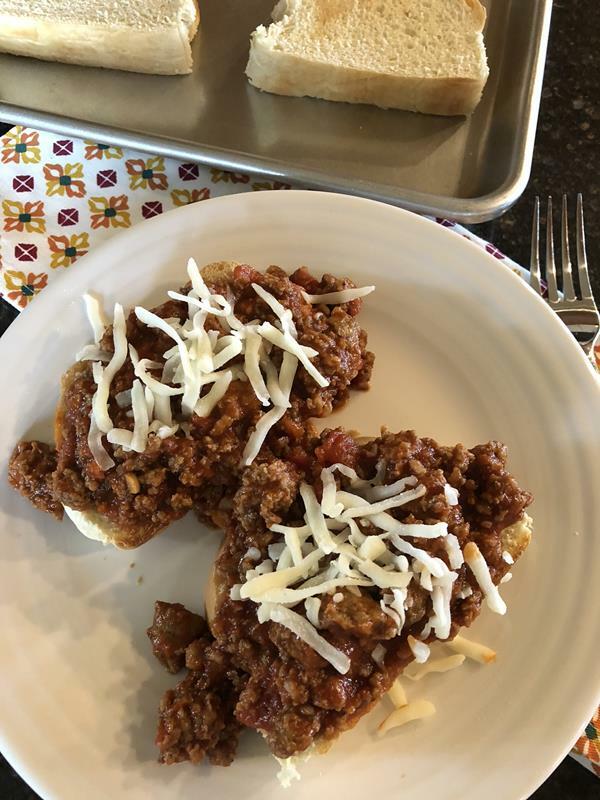 These Italian Sloppy Joes are one of my kids favorite meals. They love them and I love how easy they are to make. There are so many versions of Sloppy Joes out there. For this Italian version, I keep it really simple. The recipe only contains five ingredients. And they are five ingredients that you probably have on hand. Meat, sauce, cheese, and bread. It is that easy. It is basically a really thick sauce served over bread with cheese. 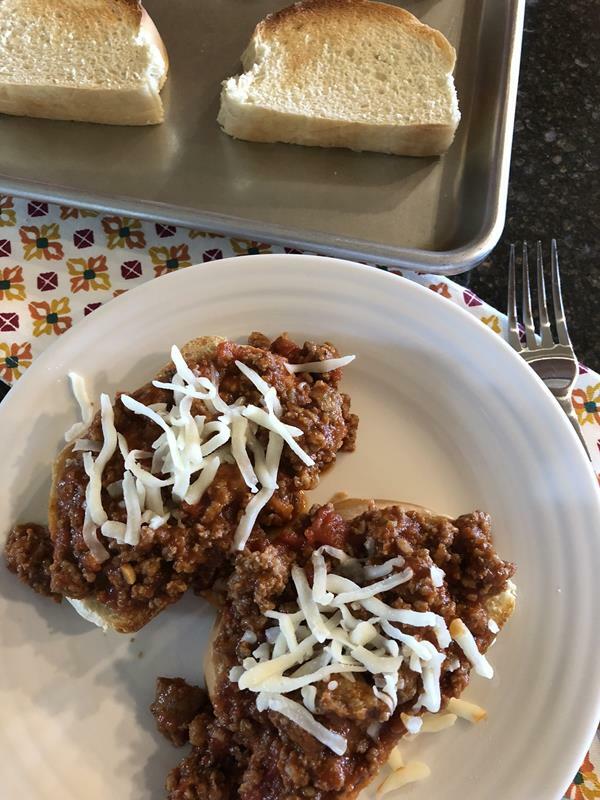 My family prefers these Italian Sloppy Joes served over a French or Italian style bread that has been sliced and toasted. I usually just serve it over buns or regular bread because that is usually what I have on hand, but they do prefer the toasted bread. Use whatever you have on hand or prefer. The gluten free eaters in my family eat this over gluten free bread or gluten free buns. It is an easily meal to serve both gluten free and non gluten free eaters. I have mentioned sloppy joes as one of my favorite freezer meals many times. This version of sloppy joes is no exception. Italian Sloppy Joes make a great freezer meals. Just double or triple the recipe and freeze it in zip top type bags or freezer containers. Just defrost it and serve it over bread or buns. It is an easy and delicious freezer meal. Need more quick and easy, kid and freezer friendly, meals? Here are a few of our favorite sloppy joe recipes. An easy dinner that kids will love. Cook ground beef and ground sausage, in a large skillet or pan, over medium heat until browned and no longer pink. Add pasta sauce to meat and stir to combine. Cook over medium low heat until mixture is hot. While sauce is heating, toast bread. I like to place the sliced bread on a cookie sheet and toast it under the broiler, but you have to watch it carefully. You can also use a toaster to toast the bread. Serve sauce over toasted bread or buns. Sprinkle with shredded cheese.